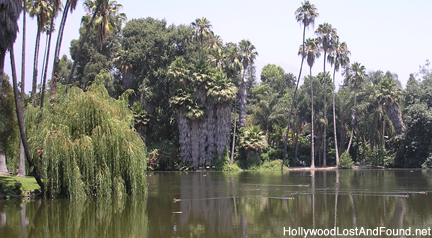 Only a few minutes from Pasadena, the Arboretum is a 127-acre botanical park featuring exotic plants from all over the world. Its vast grounds represent everything from beautiful flowered landscapes to lush jungles  making it no wonder it has been featured in well over 200 films and television episodes. 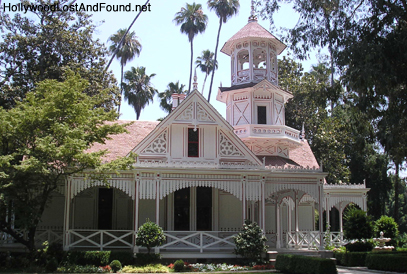 Probably the most recognized location at the Arboretum is the Queen Anne Cottage, made famous from its use in the "Fantasy Island" television show (1977-1984). During the opening of every episode, little Tattoo (the late Hervé Villechaize) would ring the bell in the cottage tower and yell "De Plane! De Plane!" The cottage itself was built in 1886, and is listed on the National Register of Historic Places.